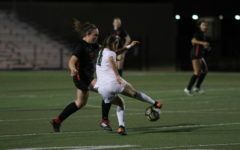 Coppell junior forward and Arkansas commit Tyler Runnels possesses the ball in the Cowgirls 5-0 win over Richardson on Tuesday night. The Cowgirls extended their winning streak to 13. Photo by Chloe Navarro. 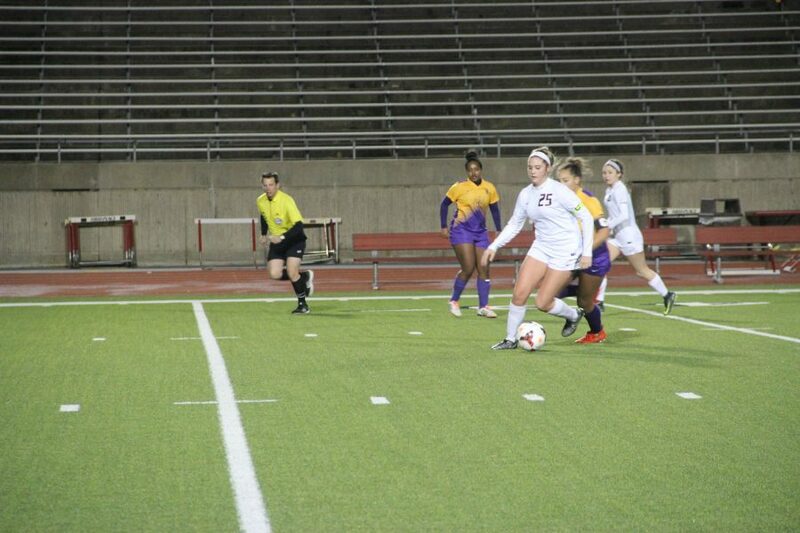 Only 30 seconds into Tuesday night’s match with Richardson, Coppell sophomore forward Rebecca Watley made her presence known with a breakaway shot on frame that was just off the mark. 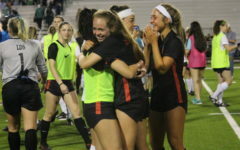 But it seemed before anyone even had time to sneeze, she was back in the box with her first goal of the night putting the Coppell girls soccer team on the scoreboard with a lead it would never relinquish in the 5-0 victory. 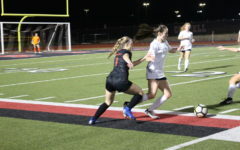 The match remained scoreless for two whole minutes as Coppell (14-0 overall, 6-0 District 9-6A) never really gave the Richardson Lady Eagles (6-6, 1-5) a chance to even attack, a showing featuring two goals from Coppell sophomore forward Rebecca Watley. 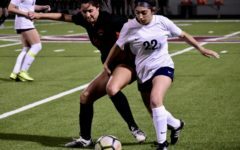 Fifteen minutes after Watley’s score, the Cowgirls surged forward to a lofty three goal lead due to goals from senior midfielder Tori Teffeteller and junior forward Tyler Runnels. 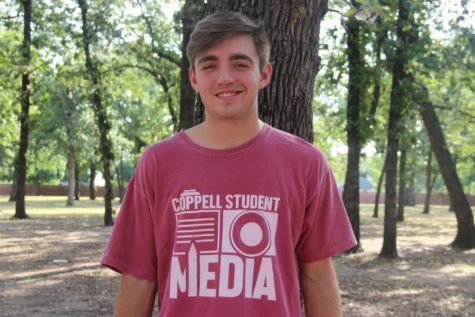 For Coppell, the match was never in doubt. 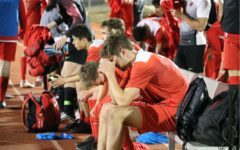 Coppell possessed the ball seemingly the entire match, only allowing one shot on target that really never actually had a chance of going in. However, its monolithic, all-out attack style of play that has presented so much success does not seem to come from just a game plan. 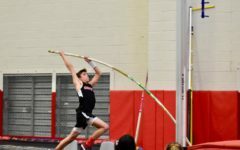 To be undefeated all throughout preseason and nearly halfway through district is a feat in it of itself, deserving of their No. 1 national ranking; but when one takes into account that the Cowgirls have yet to let up a single goal all season (along with a +45 goal differential) the team’s prominence can really be understood. 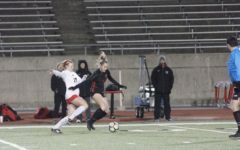 It was a cold and rainy night out on the pitch, with winds of over 20 miles per hour and a windchill in the 30s, yet Coppell kept its composure by playing each other. Coppell will look to move to 14-0 on the season against Richardson Pearce (9-4, 6-1), the squad that played the Cowgirls tough in their previous matchup ending the game 1-0. 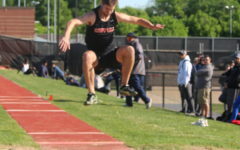 Gametime is at 7:15 p.m. on Tuesday at Buddy Echols Field.